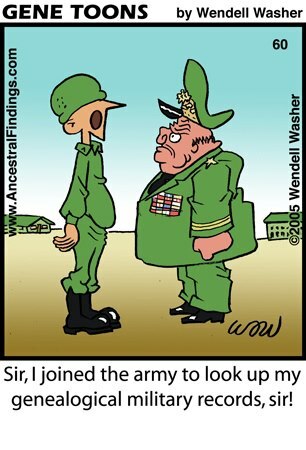 This entry was posted in Jokes & Jokesters, Military and tagged ANZAC, Friday Funny, Genealogy, humour, Military by Catherine. Bookmark the permalink. Haha, how desperate we genealogists can get! Good joke, because its true, we dream about it all the time…..